Intel is continuing its foreign investment trend with the announcement of a $1.5 billion deal to acquire a minority stake in the holding company behind two Chinese semiconductor companies. 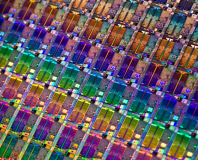 Following the announcement that Intel had chosen its fab in Israel to receive a $6 billion upgrade to the next-generation 10nm process node, the company has announced a deal to acquire 20 per cent of a yet-to-be-formed sub-company underneath the Tsinghua Unigroup holding company. State-owned and funded by Tsinghau University, the holding group is responsible for numerous high-tech ventures, but Intel's 20 per cent share will concentrate on just two: Spreadtrum Communications and RDA Microelectronics. Both companies are fabless semiconductor outfits operating within CHina, developing mobile chipsets for the local market. Mobile, of course, is an area where Intel is woefully under-represented, having been caught napping and lost the market to early pioneer ARM. This investment, then, is the company's effort to turn that tide and gain a foothold in one of the fastest-growing markets around. The key there is 'Intel architecture:' Spreadtrum's current products are based around ARM Cortex processors, as are many of RDA's baseband processors. Although Intel will have a minority share in both companies, it's clear that it will be using its influence to shift them both away from ARM and onto its own Atom low-power system-on-chip (SoC) technologies. 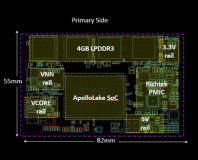 Indeed, Spreadtrum has already announced that it will be releasing an Intel SoC with intial availability scheduled for the second half of 2015, although has not yet detailed specifications nor whether the part will be available internationally. More details on the deal are available in Intel's official announcement.